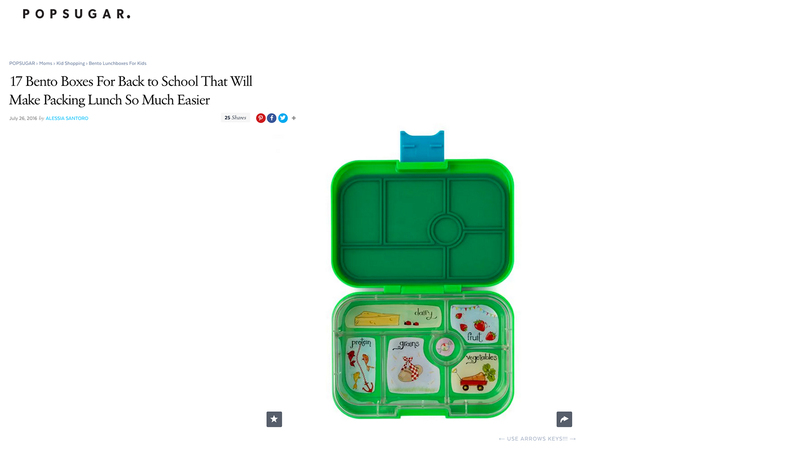 Congratulations to our Client Yumbox for their feature on Popsugar! Yumbox’s pre-portioned illustrated trays guide you to packing healthy and hassle-free lunches! Pack applesauce next to crackers with no worries! Yumbox’s unique single lid seals all food wells individually. Food won’t touch or leak outside of the box. No baggies! No lost lids! No mess! Yumbox saves you money by eliminating the need for baggies, multiple containers, plastic wrap and snack packs. Check them out at yumboxlunch.com!